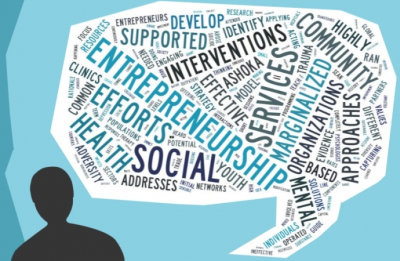 Social Entrepreneurs develop an idea to form their own business. Typically, social entrepreneurs begin their initial careers within local, state, and federal agencies, or for profit organizations managing social programs targeting specific populations. Gaining experiences working on community-based projects, social enterprise, social justice, and service oriented enterprises, social entrepreneurs are able recognize arenas to form non-profit organizations to direct their talents to directly impact social environments. Social Entrepreneurs have a driven passion to resolve the issues that affect society, and its members. The Bachelor of Arts Degree in Sociology develops in our graduates the valuable set of skills that are transferable to a range of careers. The undergraduate curriculum comprise of a series of courses designed to improve critical thinking, thinking creatively and challenging ideas, understanding the influences of human behavior and decision-making, problem solving, logical and quantitative thinking, oral and written communication, developing the sociological imagination for expanding the world view, and practical application of sociological theories to investigate modern-day political, cultural, and social problems. Students majoring in Sociology are required to complete 33-34 credit hours of coursework in Sociology. The degree focus consist of fifteen (15) required credit hours of coursework designed to build a foundation in sociological inquiry six (6) credit hours of sociology fundamental courses, and twelve to thirteen hours of sociology electives.